Baume & Mercier and Indian Motorcycle watch competition Winner announced! 1 in 50 Chance to Win Your Bike - Now that's bloody good odds! 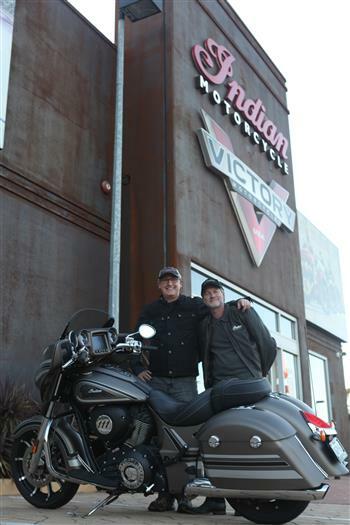 Nigel Colin (left) and Brad Foster (right) gearing up at the Indian dealership in Sydney prior to their Northern Territory ride.